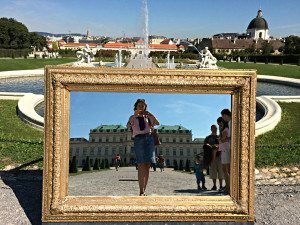 Visiting the Belvedere Vienna you can happily lose yourself in fine art and beautiful landscaping. 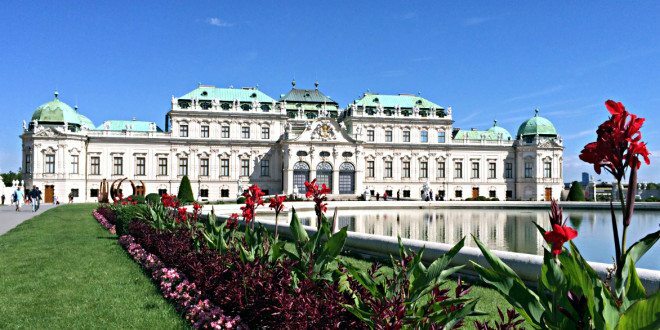 While the palace and baroque gardens alone are worth a visit the Belvedere’s Austrian National Gallery impresses with 1,000 years of national art. Below I’m sharing my personal notes of what to see and do at the Belvedere. To begin with, the Belvedere shines a bright light on the financial merits of Imperial star commander Prince Eugene of Savoy. After his victories in the Siege of Vienna and the Spanish War of Succession he built the Belvedere in the first half of the 18th century. That was 18 years after buying the Winter Palace. In brief, the Belvedere mixes palatial glamour and baroque gardens with delicate sculptures, fountains and Alpine plants. This picture shows me using the ‘Perfect Tourist’ art installation in the palace gardens in the summer of 2014. Belvedere Vienna. 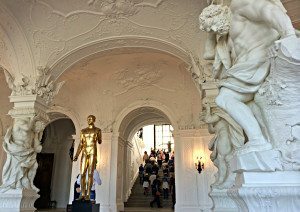 Just as you enter the foyer’s Sala Terrena, you will face the most terrific baroque sculpture in Vienna. More specifically, imagine four larger-than-life Atlases carrying the hall’s enormous vaults. By the way, quite shortly after the Belvedere was finished, one Atlas collapsed and the architect had to reconstruct the Sala Terrena. To point out the Belvedere’s center piece: On the first floor, the brown-white-gold Marble Hall boasts a vast oval ceiling where celestial beings in flowing pastel garments hover over glitzy chandeliers and gazing tourists. The Hall itselft stretches over two levels. As much distraction as that Hall may be, do look out of the windows across the long stretch of baroque gardens right down to the Lower Belvedere. In like manner, the Carlone Hall simply dazzles: Its three dimensional frescoes covering the walls and ceilings open up the baroque universe: well nurtured ladies in flowing garments, hyper-toned males in acrobatic poses, and two dozens of chubby cherubs spilling water out of amphoras, some holding blankets and flower baskets. Literally, I can only scratch the surface describing the palace. If you want real insight into that baroque masterpiece and its Art Gallery, join a regular small group tour with a brilliant art historian. 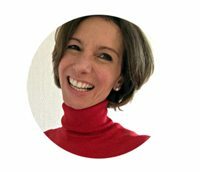 In addition, there is also a professional art historian and museum educator showing visitors privately through baroque Belvedere Palace. Belvedere Vienna. While the Upper Belvedere represents the main palace, the Lower Belvedere is the older of the two buildings. Originally, Prince Eugene of Savoy used the Lower Belvedere to receive guests in the marble hall, and to accommodate his and his guests’ horses in the stables. Until the Upper Belvedere was finished, he lived in the Lower Belvedere. From the outside, that garden palace looks only slightly more modest. As you set foot into it, the Gold Cabinet‘s gold plated and mirrored walls will prove otherwise. By the same token, the Grotesque Hall boasts rich ornaments, and the marble hall displays delicate white reliefs and amazing baroque sculpture. Next to the Grotesque Hall, the Orangery stretches out, with stone floors and high large windows that flood the room with light. Usually you will find good temporary exhibitions in that place. If you like medieval art, visit the Palace Stables‘ collection of mostly sacred art from the Middle Ages, including winged altars, paintings of worship and medieval life, and wooden sculptures. As a matter of fact, the gardens of the Belvedere Vienna are among the the best baroque gardens in Austria, if not Europe. They are listed as a UNESCO World Heritage. Not only do the gardens connect the Upper with the Lower Belvedere, they host bold sculptures, neatly trimmed hedges and artful flower beds. To further break up the space the garden consists of three levels. My favourite are the water cascades and fountains in the middle of the garden. Next to the Lower Belvedere you will find the smaller and more private Chamber Garden (Kammergarten). 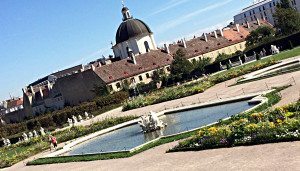 If you travel to Vienna between April and September, visit the Alpine Garden right next. In particular, that 19th century garden is Europe’s oldest of its kind and boasts more than 4,000 types of Alpine plants from all over the world. The Austrian National Gallery at the Upper Belvedere hosts a dozen collections of Austrian art. Since they span an era as vast as from the Middle Ages to the present there is no better place to get an overview of national art. If you are short on time, focus on the most popular collections such as Gustav Klimt artwork (the largest collection worldwide), the romantic Biedermeier art of the 19th century, French Impressionists, and the expressionist collections of Oskar Kokoschka and Egon Schiele. The Belvedere Vienna is located at the edge of the third district of Landstrasse. You can walk to the city centre from the Lower Belvedere in 10 minutes. 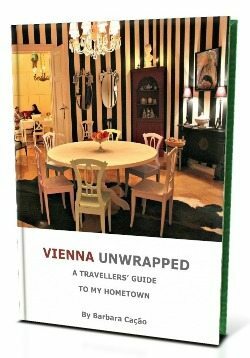 Staying close to the Belvedere Vienna means you will lodge in one of the oldest residential areas of Vienna. Here are a few tips for hotels and holiday apartments close to the palace: Hotel am Konzerthaus, close to Lower Belvedere; Daniel Vienna, close to main entrance; Pakat Suites Hotel and PuzzleHotel Apartment Goldeggasse, both close to the side entrance of the Upper Belvedere. Check the hotel map of the area.